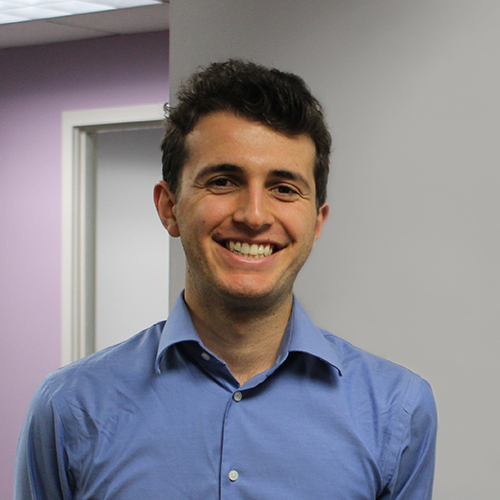 Ben Ratner is an Ann Arbor native, a research intern at FairVote and a senior at Bowdoin College in Maine. In his 2008 victory speech, Barack Obama extolled “the young people who rejected the myth of their generation's apathy.” Without a doubt, young people across America—and college students in particular - are deeply invested in the most pressing political questions confronting our country. But do we vote? College campuses may be hotbeds of activism, but only a fraction of students actually show up for midterm elections that decide control of Congress and state legislatures. At the University of Michigan, for instance, just 14 percent of students cast ballots in the 2014 midterms. More than 40 percent weren’t even registered. And yet, when students do show up, they have the power to transform elections. At a time when so many young people are rightfully fed up with America’s political system, it’s worth remembering that we have the power to reframe the debate. When students storm the ballot box, politicians are forced to listen. They ignore us at their own peril. Related: Could this be the year Michigan college students actually vote? This might seem like naïve, wishful thinking. But if we take a look at Michigan’s history, a different story emerges: one that reminds us what is possible. As a newly-published FairVote report details, once upon a time in Ann Arbor, students demanded change. And they got it. The story begins in 1971 on the campus of the University of Michigan. In March of that year, the states ratified the 26th Amendment, lowering the voting age to 18. This remade Ann Arbor’s political landscape, as college students became a potentially decisive force in local elections. While students made up only 13 percent of the city’s voting population in 1970, the amendment more than doubled that number to a formidable 27 percent. According to local reports, 18,000 students registered to vote in 1972. Michigan students began to organize. They formed the Human Rights Party (HRP), offering Ann Arbor voters an alternative to the two major parties. This new party had a bold agenda. HRP called for a complete withdrawal from the war in Vietnam, a steeply graduated income tax, city-subsidized child care, legalization of all drugs, and equal rights for gays and lesbians. Positions once confined to the fringes of Ann Arbor politics now had a platform. Very few took them seriously. But in the 1972 elections HRP shocked Ann Arbor, winning two seats on City Council thanks to a surge in turnout - 70 percent of which went to HRP. This shifted the balance of power overnight. Unless Democrats and Republicans could join together, they would need HRP’s approval to pass anything since no party held a majority. HRP used its new power to enact the change students had been demanding. HRP proposed and passed several new policies, including a law that banned discrimination on the basis of sexual orientation - among the first of its kind in America. What had seemed impossible just a year earlier was now a reality. The story of Ann Arbor and the Human Rights Party makes one thing clear: real change to our politics is possible when college students vote. It has happened in Michigan before, and it can happen in Michigan again. This November, the student vote could be the difference in the governor’s race. Michigan is a deeply polarized state that favored Donald Trump by only 11,000 votes (just 0.3 percentage points) in 2016. If that election was any indication of how closely divided the state is, high turnout on college campuses could be the deciding factor. Just as college students led the charge for voting reform in the 1970s, so too can they lead it again in 2018. With independent redistricting (Proposal 2) and automatic voter registration (Proposal 3) both on the ballot, students can push these much-needed reforms over the finish line. Groups promoting election reform—like those supporting RCV in Michigan cities, Promote the Vote, and Voters Not Politicians—will need robust support from Michigan’s youngest voters to succeed. Almost fifty years ago, Michigan students showed up in droves to exercise their newly-acquired right to vote. With midterm elections on the horizon, we must remember the legacy of our state’s first student voters. Today, at the University of Michigan alone, more than thirty thousand more students could cast ballots compared to 2014. As November fast approaches, college students across Michigan should remember the students of the 1970s and the power of our voices.